QUESTION: Besides Shrek what is another movie that is riddled with memes. My own personal opinion. I'd say something like Phantom menace, Scooby Doo or Bee Movie. But I want to know what you think. 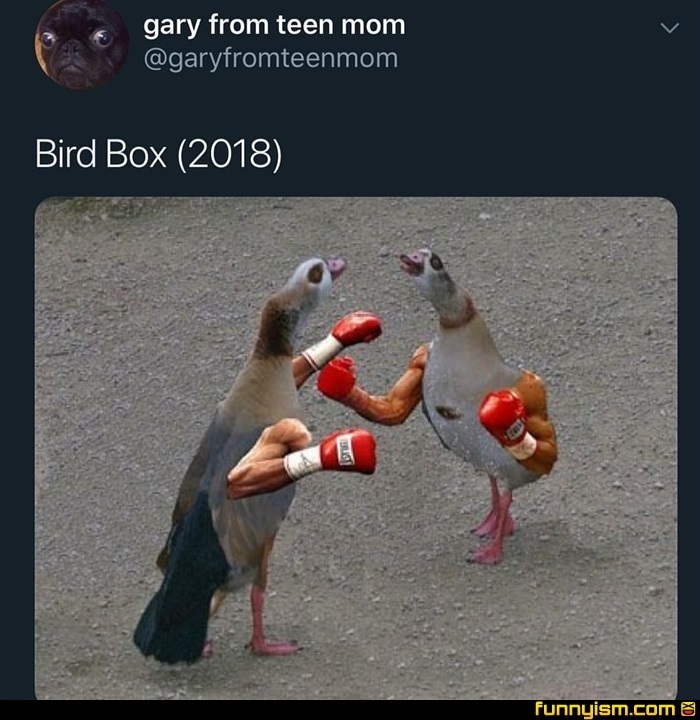 I remember everyone talking about bird box and I thought this is gonna be pretty interesting. I felt insulted when I watched it, lazy writing everywhere. It felt so offensively mediocre, like a big bang theory version of a quiet place.